The M-iQ series warewashing machines from MEIKO are some of the most efficient dishwashers in the world. In addition to water consumption rates as low as 56 gallons per hour, they also dramatically reduce energy spent on heating water, the need for detergent, and rinse aid use. With M-iQ, a state-of-the-art filtration system actively and continuously removes food soil from the wash water to improve soil removal from the ware, which further reduces detergent consumption by up to 50%. 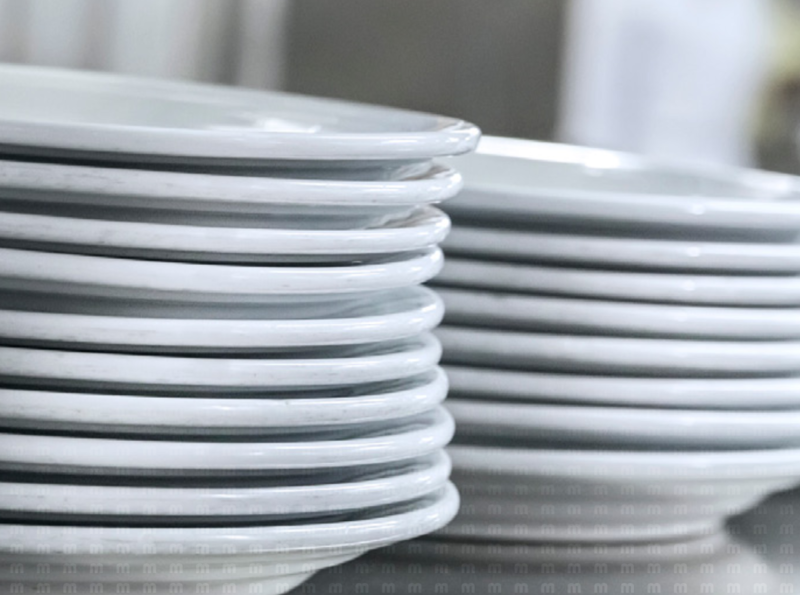 An innovative airflow management system redirects the air flow from the clean side to the loading end, keeping dirty air off of your clean dishes. The warm waste air is then used to preheat the incoming rinse water, reducing energy costs and cooling the exhaust air. Ready to take a video tour of the MEIKO M-iQ Warewashing Machines? M-iQ flight-type dishwashers are available in a variety of models and sizes to suit most applications. But in the last several months, there's been a new addition to the MEIKO M-iQ series of dishwashers. Introducing MEIKO MTS M-iQ dishwashers with the smallest footprints in the M-iQ family. At 18 ft. 8” long, the MiQ - MTS 918 from MEIKO has the smallest footprint of any M-iQ warewashing machine. These units maintain all the benefits of M-iQ, including a blow dryer, without taking up too much space in a commercial kitchen. They're available in both steam and electric models. Download the spec sheet to learn more about MEIKO MTS M-iQ warewashers, or read our free Guide to Warewashing to get an overview of answers to all your dishwashing questions and concerns.